Friends of the Jones Library System News: There's still time! 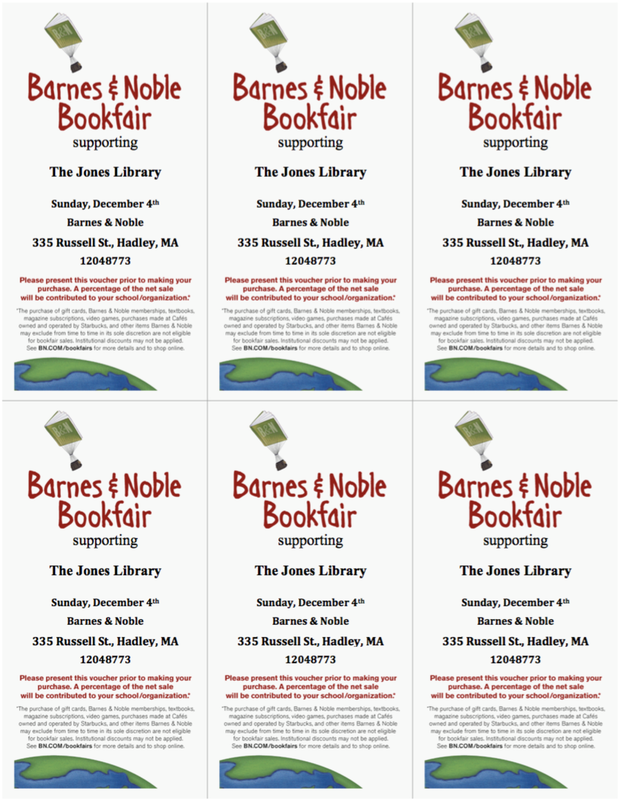 Just in case you missed the Barnes & Noble bookfair to benefit the Jones Library, you can STILL make your purchases and help the library out. 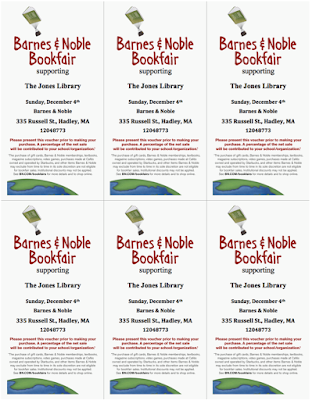 If you shop at Barnes & Noble online before December 9th and use the code 12048773, the library gets a percent back. Just look for the box at the bottom of the payment screen labeled "Apply Bookfair ID" and enter the code. Easy peasy. Yeehaw! Go do your holiday shopping right now!